Just moments before Mikaela Shiffrin, the world’s top-ranked women’s skier, clipped into her bindings today for the first run in her attempt to defend her Olympic gold medal in the slalom, she vomited. It was a dramatic physical reaction to the nerves that plague athletes at all levels of competition, but not so rare for Shiffrin. She has been open about the battle she is waging against those nerves with the help of sports psychologists. 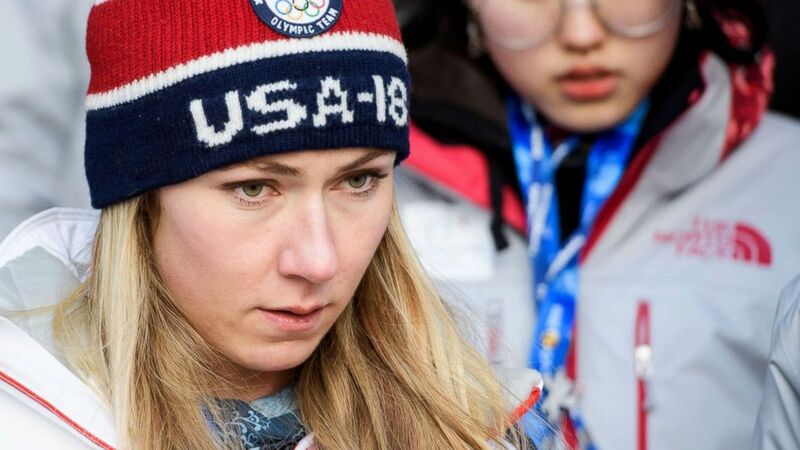 Sports psychologists say extreme performance anxiety like Shiffrin’s is more common than many people think among elite athletes. “Performance anxiety is when the mind and the body says, ‘OK, it’s here, whatever we’ve done to prepare, there’s nothing else we can do now aside from try to be successful,” Dr. Neal Bowes, a former professional soccer player and sports psychologist who has prepared Olympians for the games, told ABC News. “And it’s more common than you think.” Think of it as the common “fight or flight” reaction. Amy Baltzell, who competed in the 1992 Barcelona Games as a rower and is now the president of the Association of Applied Sports Psychology (AASP), agrees. “Most athletes feel performance anxiety and as you get better and the results get more uncertain, that anxiety goes up,” Baltzell said. What’s more uncommon is becoming physically ill as Shiffrin does, but from observing her perform and also talk about her struggles with nerves, Bowes — who has never treated Shiffrin — believes that although it’s clearly not great for her body, she has found a way to use it as a mental tool that tells her she is ready to compete. “She seems to be able to quickly process the fact that she’s gotten ill, accept as a sign she’s ready to perform and go out and compete,” he added. What can athletes do to control their nerves? Sports psychologists have different approaches for how they approach such anxiety among athletes, but all have the same goal. “You want the butterflies to fly, but we work to get them in formation and have them work for you, not against you,” said Kristen Dieffenbach, an executive board member with AASP and psychologist who has treated a wide range of athletes across disciplines and ages. Dieffenbach focuses on “controlling the controllables” — helping athletes figure out their optimal pattern for warming up and preparing for a day of competition. Bowes recommends visualization and breathing exercises and tells athletes who struggle with nerves to be selective with what they eat. Mikaela Shiffrin reacts after competing in the women’s slalom at Jeongseon Alpine Centre during the Pyeongchang 2018 Winter Olympic Games in South Korea, Feb. 16, 2018. Despite her struggles with nerves, Shiffrin already has that gold medal in the giant slalom in these games and will have another chance to snag more hardware next week in the downhill.